As much as I love kulfi, I would say that without any doubt that this is THE best kulfi, bursting with summery flavours perfect in the hot months! Plenty of cream gives this kulfi a heavenly creamy and divine taste. The rich sweetness and delicate aroma of Alphonso mangoes and the sharp bite of heat and spicy sweetness of ginger candies gives its own touch which makes this kulfi so unique ! 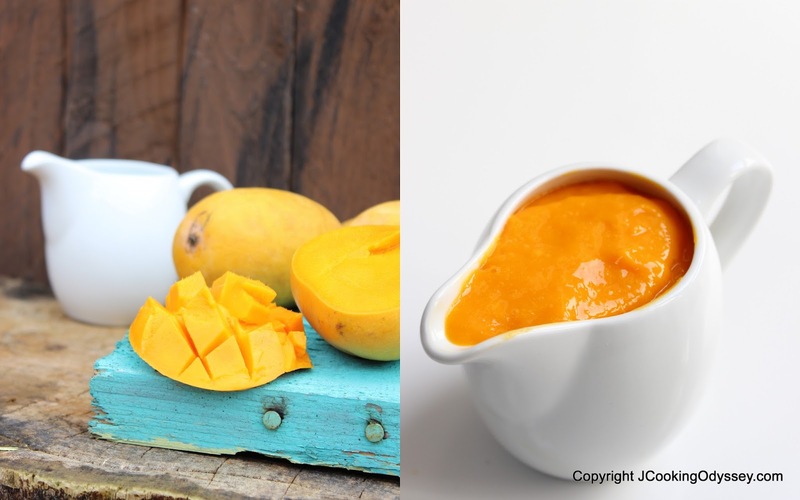 I might be little late here to post a mango recipe as the mango season is almost coming to an end, however this recipe can be made with ready made mango pulp or any other types of mangoes too. Kulfi is usually made from milk which usually boiled for several hours, but this sneaky version is made with condensed milk, so all the hard labour has been done for you, same time and NO compromise on taste !! I won't lie: this is not the prettiest pics of the mango ginger kulfi, taking a picture of frozen desserts is tough ( took more than 70 pics, still not happy ) and I am not a pro in taking food pictures, I couldn't do justice with this dish, however, if you're a fan of mangoes and ice creams, these are damn drool worthy - quite literally ! 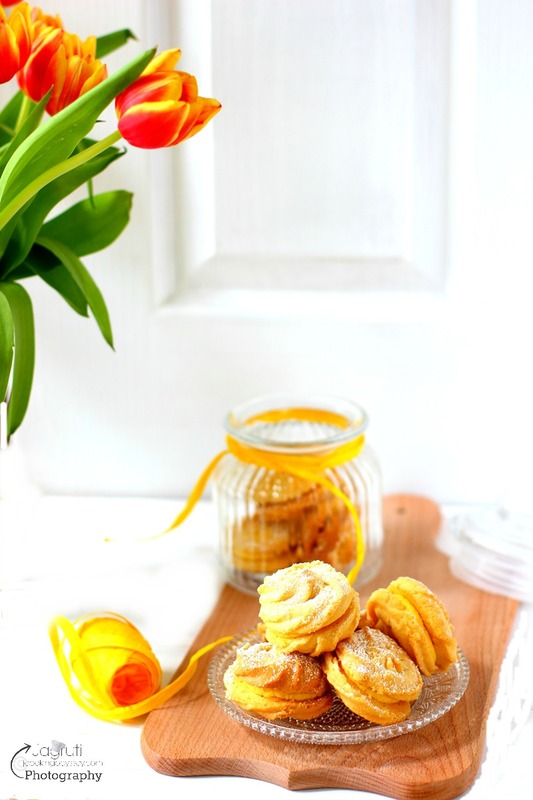 Place condensed milk, mango pulp, ginger juice and ginger candies in a big bowl. Mix it well and leave it aside. 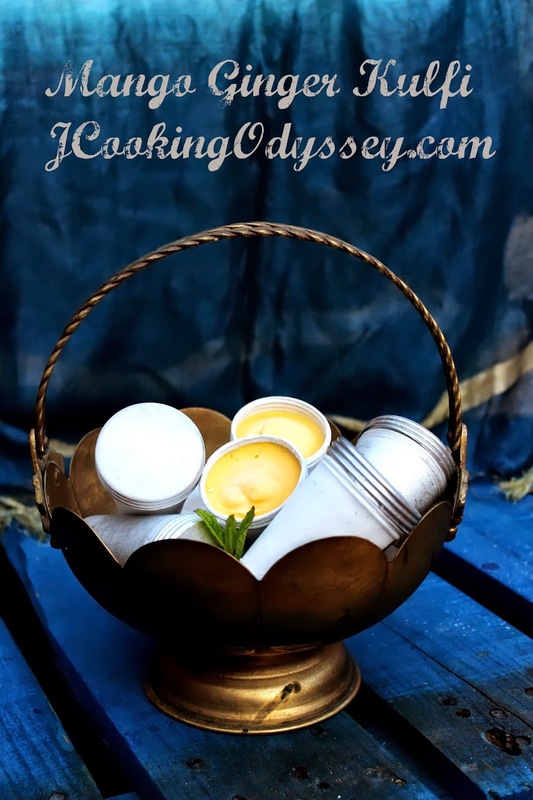 Gently whip up the cream till hold it's shape , then fold it into the mango mixture. Pour it into kulfi moulds, small ramekins or metal tray. Cover with cling film then set in to freezer. Let freeze more than 6-7 hours or till set. When ready to eat let the kulfi mould stand outside the freezer for 4-5 minutes before. lovely, my fav mango kulfi! LOve kulfis and yours loook superb Jagruti.Love the pics! Nice combo love the kulfi moulds. Mmmmm I have an itch now to have kulfi right now. Love the combo. 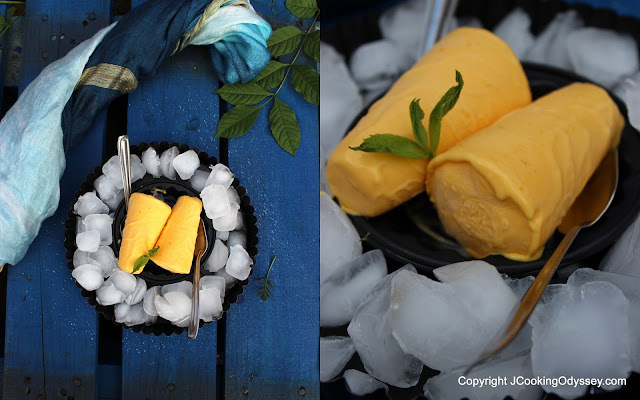 Who say no to mango with the divine combination of kulfi for this hot weather.. Adding ginger juice is a twist here..
Mango ginger kulfi looks absolutely tempting. Mangoes are my weakness, love them in any form. Bookmarking to try this kulfi.